Are you tired of your staffing agency not getting it? Whether it is understanding what type of sales experience would translate to home improvement or the subtle nuances to finding great skilled tradesman, a deep understanding of the industry is required to effectively fulfill your recruiting needs. Additionally, depending on how quickly your company is growing, maybe it was something the owner did directly or was able to be managed internally but now your resources are spread too thin to keep the pipeline full. Regardless of the reason, if your company lacks the talented staff necessary to run or grown your business then that is major issue that needs to be resolved immediately. After an introductory call to go over the specifics of the position and to get a sense of your company culture, that is all we need to get the process started. From there, we will write a detailed job description, tap into our vast network of millions of potential applicants, conduct initial prescreening interviews, and only introduce you to the select few qualified applicants. We can provide employment screening services such as background checks and drug tests. 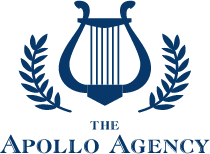 The Apollo Agency LLC is compensated based on performance, if you don’t hire a candidate from us you then you don’t owe us a dime. Taking it a step further, if the candidate doesn’t last 90 days you will receive a credit on your account and we’ll replace them at no additional charge. Also, once under contract, it is an “As Needed” service and there no monthly costs or minimums. If you are interested in learning more, contact us to schedule a free consultation.